IS/ISIS/Daesh - Losing ground, extending reach. Hagai M. Segal says with geopolitical crises threatening many parts of the world, those still reeling from a painful 2016 should brace for potentially worse. The joint Korean teams and use of a Korean unity flag has been the 'feel good story' of the PyeongChang 2018 Winter Olympics. Koreans have been able to dream of being reunified, global fears of a Korean war have lessened, and North Korea has been able to show their 'kinder side'. Yet the laudable notions of respect and peace that sport can bring forth will soon be very quickly overtaken by the cynical realities of geopolitics. This is hardly the first time an Olympic Games has taken place in a highly politicised environment, nor is it the first one to be manipulated in order to propagandise and whitewash the excesses of a brutal state. In the 1980s the Olympics became a political focus as both Cold War powers hosted a Summer Games and boycotted each other's, all just a few years after Olympic notions of unity through sport had been ridiculed by the murder of 11 Israelis by Palestinian terrorists at Munich 1972. But it is the infamous Berlin Summer Games of 1936 - that gave Hitler multiple propaganda coups that he was able to use to lessen international scrutiny and criticism of his antisemitic policies and military build-up - that will likely have most parallel with what is playing out at PyeongChang 2018. A key North Korean tactic at the Games is to create a 'nothing to see here' dynamic, as Hitler did so very effectively in 1936, with returning spectators and journalists reporting that notions of North Korean political extremism and warmongering must have been exaggerated if not entirely contrived. Every expression of Korean Unity - something that has totally understandably excited and energised millions of South Korean citizens tired of decades of division and tension - every example of comradeship between North and South fans and/or athletes, only go to distract from the political and military realities that existed before the Games. Just look at how positive the reporting of the North Korean all-female 'cheer squads' in the stands of PyeongChang stadia has been. Most coverage in the West has fallen into the 'light-hearted human interest' category, seeing them as odd yet cute and unique aspect of the Games rather than highlighting their propaganda purpose or what they convey about the regime that has sent them. Domestically the Games have been sold in North Korea as a concession to, rather than by, the People's Republic, and this had made a return to nuclear brinkmanship even more likely. North Korea has thus gained political wriggle-room from the mood of peace and unity they were able to share with the South during the Games. And with the pressure for now off the North, PyeongChang 2018 will likely act in the medium- and long-term to widen not narrow the divide between the North and the South. The conclusion of the Games will thus see a very rapid return to business as (ab)normal on the Korean Peninsula. Expect a rapid end to the Korean Detente and a return to nuclear tests and missile launches later in the year, with a complete collapse of the 'United Korea' atmosphere of PyeongChang 2018. The South are likely to find a North even more determined to enforce their military and political objectives in the Games' aftermath. The 'Connected' aspirations, expressed in the PyeongChang Games motto, will I fear be very short-lived. 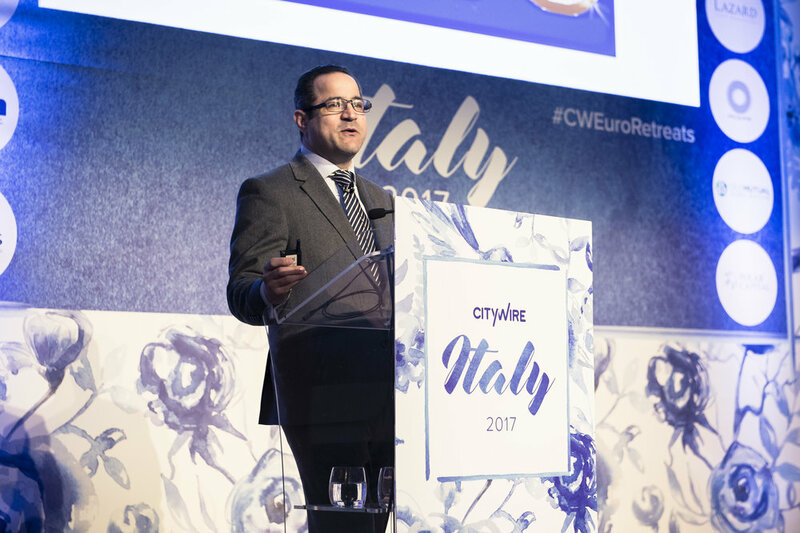 In October and November Hagai gave keynote addresses to two Citywire conferences, one in the UK and one in Italy. 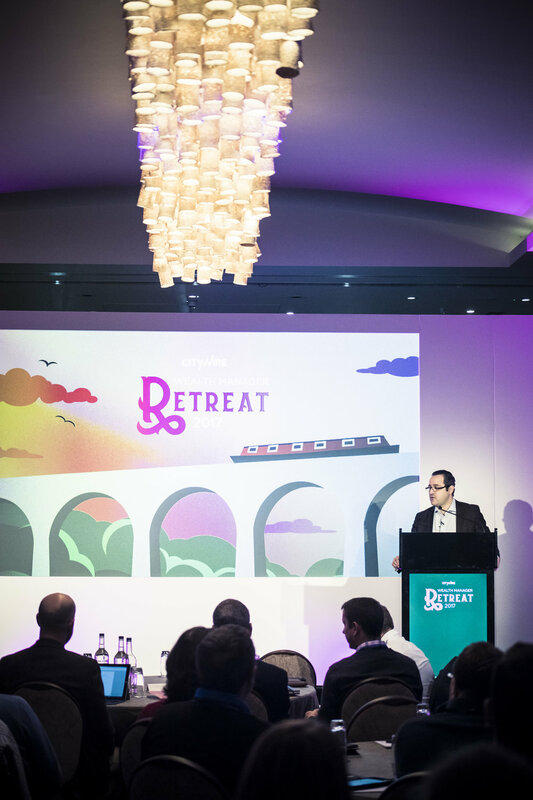 In October he addressed the Citywire Wealth Manager Retreat near London and, in November, the Citywire Italy 2017 event in Florence. Both presentations looked at the impact of geopolitics on key economy factors and how investors can become more literate of geopolitical risk and thus bettter anticipate its impacts. In October and November Hagai gave keynote addresses to two Institutional Investor conferences for senior investment audiences. In October he addressed their European Institute's Chief Executive Officer Roundtable in Milan, and in November their European Alternative Investment Institute's Senior Delegates Research Summit in Paris. Both presentations looked at the impact of geopolitics, in an ever more uncertain world, on the global economy and the investment climate. Hagai was thanked by the Paris organisers for doing an "excellent job setting the scene for the discussions that followed... Quite a few of the audience commented on how they really felt they learned something new and how useful it was". The terror threat to the UK, and how to effectively deal with it, has again been across the UK front pages. And these stories have highlighted a growing and profound policy disagreement that must be resolved if the UK is to effectively adapt to the unique threat it faces today. First we saw open criticism of a key proposed government policy from Max Hill QC, the independent watchdog/ombudsmen of UK counter-terror legislation, then followed a report warning of growing threats from returning jihadists, and finally a guarded attack on Hill’s comments from Sue Hemming, the head of counter-terrorism at the Crown Prosecution Service. Hill chose to take very public issue with a proposed government policy to criminalise 'extremism', an approach Prime Minister Teresa May first proposed when serving as Home Secretary. Aimed at tackling the issue of 'hate preachers' that frustrated authorities for decades, as part of a wider effort to counter those who still effectively reach and radicalise vulnerable British youths, the approach is intended to become policy when the government publishes its long-awaited update of the UK's counter-terror strategy. Hill however argued that "We do not, and should not, ban thought without action or preparation for action... legislating in the name of terrorism when the targeted activity is not actually terrorism would be quite wrong". The next day though, in a carefully-worded but clear statement in opposition to Hill's remarks, Hemming said that "We must recognise that specific counter-terrorism powers are necessary, and acting early to safe-guard public safety means that traditional investigative powers are not always sufficient... traditional criminal offences do not fit conduct that rightfully calls for punishment". This followed a report warning that the defeat of Daesh/IS/ISIS in Iraq has already resulted in the return of thousands of their fighters to their home countries, including many British citizens, and that they will pose a very serious security threat for years to come. This reports highlights the urgency of the policy debate and why this public disagreement between Hill and Hemming matters. For while there is little doubt that attempting to ban extremism - the concept of attempting to ban, in a legally enforceable manner, an idea, doctrine or ideology - is fraught with difficulty, it is a process that must be undertaken. We are quite wise to be cautious of going down a legal path in which criminality is assigned to abstract concepts rather than action. However, it would equally be extremely naïve and highly counter-productive - in light of the current threat dynamic and the nature of radicalisation and recruitment today - not to appreciate the enormous role played by those who do no more than try to motivate the next generation of terrorists. If the impact of skilled propagandists, preachers and writers is not successfully disrupted and diminished the UK will remain near powerless to stop the radicalisation and recruitment of groups like al Qaeda and Daesh/IS/ISIS. The key area for focus is shown in Hemming's emphasis on "acting early" - if we only have legal measures for when an actual attack is in the planning stages or has already been carried out, while the authorities had to watch powerless those who radicalised and/or recruited the attackers, then we have failed to protect the public and our society. We can no longer remain naïve enough to believe that words don't cause harm, that somehow we can allow this kind of discourse and targeted incitement to occur and that democracy is strong enough to do with it. It is not, as we are finding out the hard way - as threats change and morph, so must the laws and regulations. We have seen time and again, over decades, that the failure to deal with incitement in the written and spoken word has had a direct impact on the creation of British citizens who go abroad to kill for a cause or remain here to carry out attacks upon the United Kingdom. The term 'Extremism' itself is of course problematic - everyone using the term 'knows' what it means, yet all would define it differently. The term has no national or international legal definition nor meaning, as it has no history as a frame of reference in international courts, treaties or UN resolutions. Trying to come up with a definition, that can both satisfy political intent and public opinion while also being legally viable will be an enormous challenge. But there are exemplars to replicate or at least learn from - Germany for example constructed its post-Nazi constitution to allow it to restrict or outright ban certain ideologies from being acceptable political options in its democracy. Australia meanwhile has also been working to stop 'extremists' from being able to freely behave and operate as they were able to in the past. As hard as it will be to find the right balance, the attempt must be made. We do not want draconian powers introduced that would be open to overuse and abuse, and that might even create anger that could actually aid terrorist recruitment. But it is equally important that legal focus and law enforcement powers are adapted and enhanced to give UK authorities, police and prosecutors the updated legislative frameworks they require to deal with the threat posed today. The current arrangements are quite simply insufficient and woefully outdated, and if this does not change the UK plays right into the hands of the supporters upon whom murderous terrorists rely. 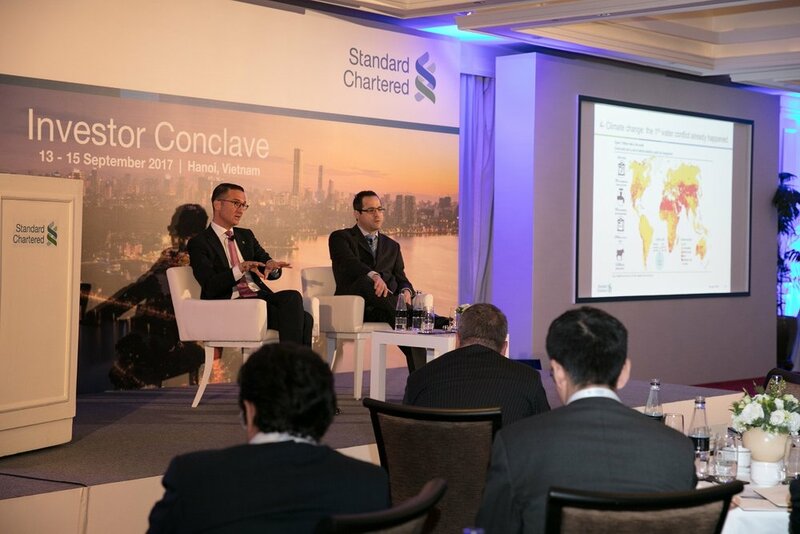 In September Hagai participated in the Standard Chartered Bank Investor Conclave in Hanoi, Vietnam, an event attended by investment firm CEOs from across Asia. Hagai presented on geopolitical risk and cyber threats, and their implications for the investment environment and the global economy. Forrest Hayes, Managing Director, Global Accounts, Investors & Insurance at Standard Chartered Bank commented that "Hagai's deep knowledge of both political risk and cyber security brought tremendous insights to our senior clients". Hagai also joined a delegation that met with the Vietnamese Prime Minister, and visited a Liverpool FC Community Engagement event - that Standard Chartered support through its Goal programme and as Liverpool sponsor - that together aim to combine sports with life-skills training to empower girls with confidence, knowledge and skills that can help them be future leaders in their communities. We are taught as kids that 'sticks and stones will break your bones, but words will never hurt you'. It may be sound advice to give a 6 year-old, but should not be the guiding principle of a Presidency. Donald Trump's total inability to understand the true power and gravity of the US President's public statements is causing ever-more serious harm. The Don's 'Presidency By Tweet' would be problematic enough if Trump was careful and measured in his social media pronouncements. But the crass, knee-jerk nature of his tweets and verbal rants has created no less that three political crises in as many months. First, it was North Korea - a long-standing situation has dramatically escalated into a crisis in the past few months, an escalation repeatedly driven by Trump's need to tweet insult and demand. Not only has Trump chosen through his tweets to override existing political and diplomatic channels, not least his own State Department, but his tweets frequently bear no resemblance to US diplomacy or even his own Administration's policies. And his choice of language rapidly turned a 'situation' into a crisis. North Korea has of course done much to prompt a response from the US President and other world leaders, escalating its firing of a variety of missiles and weapon systems and threatening to target US interests and allies in Asia. There is though nothing new in North Korean missile tests - numerous occurred in 2015 and 2016 resulting in multiple UN sanctions that even North Korea's ally China has actively supported and implemented. The situation was fluid and tense, but it was also being managed and contained through the cooperation of global powers including the Chinese and the US - until Trump's personal public commentary began. The crisis escalated in direct parallel to Trump's tweets and throw-away statements - every public dressing-down of North Korea brought a new missile launch, as did Trump's crude resort to cowboy colloquialisms like 'locked and loaded'. So I'll-judged and inflammatory was Trump's rhetoric that his own Secretary of State felt the need to publicly assert that the US is not seeking regime change in Pyongyang, and South Korea publicly pleaded for an end to the 'talk of war'. Just a few weeks later Trump responds to Nazis and white supremacists terrorising Charlottesville - including one extremists killing an anti-Nazi demonstrator when he drove his car into a crowd - with words making moral equivalent between the extremists and those demonstrating against them. 'Both sides', Trump told us, had good and bad people in their ranks, and both therefore had some responsibility for the violence. Never mind the reports and images being broadcast across the globe of the violence and open displays of racism, antisemitism and hate from the Nazis and white supremacists in attendance. Three days later Trump was still pushing the 'both sides at fault' line. When a condemnation of the racists was eventually put out in the President's name it was far too little, far too late. And Tuesday night, during an address on his proposed wall on the Mexican border, Trump presented - no doubt boosted by a room full of his supporters - a highly selective rewrite of his original statements on Charlottesville. In his inimitable style he even claimed, without a hint of irony, that his comments on Charlottesville had been 'perfect'. The third case came last week when Trump chose to respond to the terrorist attack in Barcelona in equally appalling fashion. "Study what General Pershing did to terrorists when caught", tweeted Mr Trump, lazily referencing an internet-spread myth long-ago debunked by historians and experts. The myth claims that US General John Pershing - during the war in the Philippines at the start of the 20th century - rounded up 50 Muslim terrorists and ordered that 49 of them be executed using bullets dipped in pig's blood - presumably to insult their Islamic faith in addition to killing them. The surviving one, terrorist number 50, was kept alive to be sent back and tell his people what had occurred. And yet while it never happened, this didn't stop Trump ending the tweet by claiming this incident was the reason why "There was no Radical Islamic Terror for (the next) 35 years!". It would have been bad enough that the President of the United States publicly declared that an appropriate response to the attack would be to kill and religiously humiliate anyone associated with it. Or indeed that he would publicly suggest that such an approach would actually have any positive impacts on the fight against Islamist extremism. But to do so by spreading a complete fallacy - something that simply never happened - as an example of historical US best practice, made it all the worse. Such Bull in a China Shop behaviour is a gift to all manner of extremists, and expect to see the Trump tweet being used time and again in coming months in IS/ISIS/Daesh propaganda and recruitment. Rather than acting as the voice of reason, the voice of the President is driving and inflaming political crises at home and abroad. The worse the atrocity, the more crass and incendiary the President's public response. And the image and reputation of the United States - and the institution that is the US Presidency - is further tarnished with each crisis. We are living in volatile times, when sound and wise political leadership is more vital than ever. Trump instead seems hellbent on doing the exact opposite, and the consequences are being felt across the globe. Trump proved again on Tuesday that he believes he can do no wrong, and seemingly remains oblivious to the damage his ill-considered tweets and verbal outburst repeatedly cause. Expect more verbal blunders from Mr Trump and the inevitable negative consequences that will follow. As I toured Asia and Australia over the past month I was repeatedly greeted with a mix of fascination and bemusement at the current state of British politics and society. Time and again clients and audiences asked me to explain Brexit and the tumultuous UK General Election. To outsiders it seems as if the normally politically stable and passive United Kingdom has of late become distinctly unstable and uncertain - one Australian national TV station reported the General Election result with the words "You thought things could not get any more crazy in the UK? Well, you were wrong!". This precarious political dynamic has profound implications, for there is one word that the UK government and the markets did not want associated with Britain as it begins the daunting task of negotiating Brexit - 'Uncertainty'. Many factors, some unique to 2017, were at play to help produce the shock election result – the Brexit dynamic, multiple recent terrorist attacks, the post-Independence referendum situation in Scotland, UKIP's dramatic fall, the May and Corbyn factors, etc. But the most intriguing of the key factors may be that Britains simply don't like voting too often! The UK's so-called 'Civic Culture' - famously described in the 1963 political science study by Almond and Verba as "acceptance of the authority of the state" and "a belief in participation in civic duties" - might just have at its core an embrace of the fact that we are not consulted too frequently. Once an election has occurred it is left to the politicians to run the country for at least 4 or 5 years before bothering us again. Teresa May's choice to ask the UK electorate to vote in a national plebiscite for the third time in as many years (two General Elections and the Brexit referendum) simply isn't the British way, and the electorate have punished her for inconveniencing them again with another vote ! 'Too much democracy' as one UK political commentator quipped to me this week. This has put Theresa May in an unenviable and vulnerable position, and goes a long way to explain not just the forming of the "confidence and supply" minority government with the DUP but also most of the political developments seen since. May cannot allow a situation where another election becomes the only way forward, as she knows she'll be personally punished for it by the UK electorate - the PM knows only too well that if Britain votes again in the next year or two it will likely herald a Labour government. Rather than burying Corbyn, May's choice to have a 2017 General Election has made him a viable national leader for the first time. So instead Teresa May is investing all of her efforts into attempting to maintain her position as Prime Minister irrespective of its consequences for this vital 'uncertainty' dynamic - she now feels that there is no choice but to try and see out a full parliamentary term in this tenuous partnership with the DUP, whatever the cost, and hope that with time and a Brexit deal she can reinvigorate her political fortunes. And that cost is already very high, with a £1 billion budget increase to Northern Ireland being promised by the PM just to secure DUP backing in the first key Commons votes on government policies announced in the Queen's Speech. May's position meanwhile has only been further weakened by the fallout from the tragic Grenfell Tower fire, and a growing perception - whether fair or not - that poor people died because Conservative politicians (locally and nationally) simply didn't care about their welfare or safety. The PM's decision not to meet survivors and those affected when she visited the site - after her refusal to take part in public debate during the Tory's disastrous election campaign - has only added more pressure and scrutiny of her leadership and her government. And as revelation after revelation regarding the fire becomes public the more this pressure is growing. And the bulk of Brexit negotiations have not even begun yet. Don't thus expect this uncertainty, and the associated mood and front-page headlines, to abate any time soon. The French Presidential and parliamentary elections meanwhile were the latest example of a different form of political dissatisfaction - and outright political apathy - that has afflicted Western politics of late. A great deal of analysis of the French Presidential election result concentrated on the convincing victory of Macron over Le Pen. However a key aspect of the story, as with the election of Trump in the US last year, was the increasing impact of political apathy and disillusionment on the destiny of Western democracy. In the second round of voting in France non-votes and spoilt ballots - a record number of which were cast as voters looked for ways to protest vote - together came second in the poll, 'beating' Le Pen into third. This follows the decisive role that non-voting - reflecting widespread apathy and active disillusionment in mainstream politics - played in the election in the US of Donald Trump. A fallacy that has become an accepted 'truth' is that Trump managed to mobilise a massive national vote, but in fact it was non-voting that played a far more decisive role in the election. While there is no doubt that Trump amassed a large national following that allowed him to surprisingly secure the GOP/Republican presidential nomination, his vote in the Presidential election was not extraordinary, or even unusual. What won Trump the election - or rather what lost it for Hillary Clinton - was around 5 million voters who backed Obama in 2012, but stayed home in 2016. If we make the comparison with 2008 the numbers are even more stark - over 9 million of Obama's voters stayed home rather vote for Hillary in 2016. And this was in a Presidential election when 4 out of 10 Americans did not deem it important enough to vote at all - a voter turnout percentage all too commonplace now in Western democracies. The French polls also dramatically demonstrated the increasing impact of disillusionment. In addition to the non-voters, for the first time in the history of the French Republic the final two Presidential candidates were not from the two major parties. A majority - of those who actually chose to cast an eligible vote - wanted any option but the 'usual suspects', a reality reinforced by the victory of Macron's brand-new En Marche! party in the parliamentary elections on June 18. It was thus non-participation - driven by the toxic mix of apathy and disillusionment - not who-voted-for-who, that is the true story in the US and now in France. Until the established/mainstream parties, or new parties representing liberal democratic norms, address this toxic mix it will continue to play into the hands of populist, unorthodox and indeed extreme political elements. Expect more Macrons, Trumps and Le Pens... and more Bernie Sanders' and Jeremy Corbyns too. As IS/ISIS/Daesh loses more and more territory in Iraq, and prepares to defend their capital city, terror attacks claimed by them have hit the UK, Australia and Iran. And it is no coincidence that all these developments have come hand-in-hand. Intelligence and security agencies across the globe - in the states who are fighting IS/ISIS/Daesh - have long feared that defeat of the jihadist in Iraq and Syria would lead to an increase in attacks on their homelands. The UK and Australia (as part of the US-led Coalition including many Sunni Arab states) and Iran (part of a competing club with Russia and the Assad regime in Syria) are all prominently involved in fighting IS/ISIS/Daesh, and have now been targeted at home with attacks claimed by the group. After three attacks in the UK, attackers seemingly affiliated with IS/ISIS/Daesh mobilised this past week in Melbourne, Australia, and in the capital city of the (Shia/Shiite) Islamic Republic of Iran. All three states will be dramatically reassessing their counter-terror measures as a consequence, as will many others globally. Melbourne might be characterised a 'near-miss', with a speedy and decisive police intervention limiting the casualty count and ending a siege before it had really begun. But now the debate of the day in Australia, where I write from, is how police - in light of events in Melbourne and indeed in far-away London - will develop new shoot-to-kill tactics, and whether some should be armed with automatic assault firearms. New threats require new responses. IS/ISIS/Daesh are under assault across the Middle-East and North Africa (we take our eyes off the African dynamic at our peril) losing more territory by the day, all good news for the millions suffering under their truly brutal rule. The downside of this success however will be more attempted attacks by IS/ISIS/Daesh from the UK to the US, from Russia to Australia, with the hope of undermining domestic public support for military action in the countries involved in the operations against them. The first barometer of whether this might work will be in today's General Election in a UK, as the country votes while still reeling from three terror attacks. The Madrid al-Qaeda attack in 2004 changed the course of a national election, might IS/ISIS/Daesh have done the same in the UK in 2017? You can thus be sure that IS/ISIS/Daesh and its supporters will be watching the result with particular interest. Following the terrorist atrocity in Manchester Prime Minister Theresa May addressed the nation to defiantly state "that our values - the liberal, pluralistic values of Britain - will always prevail over the hateful ideology of the terrorists". We expect such words after such an attack, yet May's emphasis on liberal, pluralistic values could not be more poignant. For Manchester, more than any other jihadist attack experienced yet in the UK, has highlighted the determination of jihadists to target our very values and culture. While a first for the UK, the attack is the latest globally against aspects of modern leisure and cultural pursuits - having fun, attending events and gatherings purely for leisure and pleasure, are treasured aspects of modern life, but it is exactly for these reasons that they so offend militant Islamists. To them such activity represents the godless, immoral, hedonistic value system of the West, which they see as a direct rebellion against the will of God, and thus constitutes a legitimate and priority target of their jihad. This view has been long-held by militant Islamists, but what has changed in recent years is the increasing choice by jihadists, especially IS/ISIS/Daesh and its followers, to make it a priority in their targeting *. It is a profound challenge for the UK authorities, with a huge number of major events taking place annually - from concerts to festivals to sporting events - and policy will now be actively reassessed in response to the events in Manchester. The UK is unusual in having a specialist counterterrorism agency that is specifically tasked with protecting public places and spaces - NaCTSO, the National Counter Terrorism Security Office – so addressing this issue is hardly new. Until now however actual physical security measures differed dramatically from one setting to another - go to a Premier League football match and you may be subjected to a frisk search, your possessions being searched, electronic scanning and other measures, yet go to a play at a West End theatre and be subject to no direct security whatsoever. The rationale behind this was clear - provide only the security level needed, and where possible allow the public to go about their lives without constantly being subjected to and inconvenienced by security checks. This will now have to be reevaluated, and the UK counterterrorism and public-safety system will be examined and reformed in light of the reality that events like concerts and other public cultural gatherings are now priority targets for jihadists. And the deliberate targeting of a venue which was known to be full of children and young people is an element of the attack that will only heighten the urgency to protect public cultural, sporting and similar gatherings. Meanwhile the UK threat level has been raised from 'Severe' to 'Critical', warning that other attacks may occur. This reflects the dramatic increase in threats to the UK, and the priority directly following the attack to ensure that no-one associated with it is still at large and able to carry out a second attack. The critical threat level also reflects the scenario that the authorities have feared for sometime – that the defeat of IS/ISIS/Daesh on the ground in Iraq is going to have the knock-on effect of increasing the attempts by IS/ISIS/Daesh and its returning fighters to carry out attacks against its enemies including the UK. Stopping jihadist fighters getting into/back into the UK, disrupting plots and terrorist planning, and better understanding how this attack occurred will now be the priorities. Exhaustive efforts will be made by UK authorities, across the board, to learn from Manchester and ensure that no further such attack follow. · In Kenya in June 2014 al-Shabab carried out multiple attacks on bars showing the football World Cup, killing tens of people and forcing the government to urge people to avoid watch matches in "crowded and unprotected open places". · The multi-target attacks of November 2015 in Paris included both an attack on a theatre hosting a rock concert and one on the national football stadium. · The July 2016 Bastille Day vehicle attack in Nice, killing 86 and injuring hundreds. · The December 2016 vehicle attack on the Berlin Christmas market, killing 12. · The Jan 1 2017 attack in Istanbul targeted a nightclub full of party goers drinking and celebrating a day in the Christian (New Year's Eve) not Islamic calendar. · Now the suicide attack on a pop concert in Manchester/the UK. The attack that the UK has been preparing for has occurred, a policeman and two members of the public are dead, and more are seriously injured. Any deaths in a terror attack are tragic, and no doubt there will be urgent investigations into whether PC Keith Palmer could have been better protected, and whether anything could have been done to stop the car driving through a crowd of pedestrians. And yet the attack has actually demonstrated the success of the exhaustive counter-terror planning and preparation that has taken place in London and across the UK in the last few years. These low tech, high impact attacks - one man, a car and a knife - are very hard to anticipate and prevent. They require no bomb-making skills or acquiring of firearms, and thus are able to be attempted by any dedicated extremist - today a Frenchman has also been arrested in Belgium on suspicion of driving at a crowd. Yet the resort to such tactics, by those in the UK trying to carry-out attacks in ISIS or al Qaeda's name, is also a reflection of the successful security and resilience system put in place across Britain, and especially in London. It is increasingly difficult to access firearms or the chemicals/materials needed to make improvised bombs, and the vast majority of cells that have formed to execute mass casualty attacks have been intercepted over the last decade, resulting more and more in individuals choosing to go it alone. Additionally, UK efforts to create an 'All Hazards' security and resilience system, designed to make any kind of attack harder to carry-out and have less impact if one does occur, has been very effective. Tragic as the human cost of this attack was, there should be no doubt that without these measures in place the casualty list would have been a lot higher. There are of course no grounds for complacency, the system can always improve, and lessons will be learned from this attack. But national and London authorities can also move forward with the knowledge that their efforts are making a difference, are working more often than not, and that they have the admiration and support of the British public as they strive to stop similar attacks occurring again. SCMP - Can Trump’s words on a one-state solution ever become policy? Hagai M. Segal says the US president’s remarks that he is open to the controversial one-state solution to the long-standing Middle East conflict have alarmed many, but it’s unlikely he has the worst-case scenarios in mind. SCMP - With Trump, Brexit and simmering tension in Asia, can the global security order survive 2017? On Monday October 14 2016 Hagai gave the opening keynote address to the Global Business Travel Association (GBTA) annual conference in Frankfurt, Germany. The keynote was entitled 'Expert Insight Into Risk + Security'. Attended by over 1,000 delegates from more than 20 countries, the conference is Europe's largest business travel event. The power - real power - of social media in the post Arab Spring world. SBL conference 'CSP:2016 - Cyber Security Professionals’. On Wednesday 20th April Hagai gave the keynote address to the gala dinner of the Cyber Security Professional 2016 (CSP:2016) conference at York Racecourse. CSP is a two day event where delegates from across the public, private and third-party sectors gather to understand and address today's cyber challenges.